Striking modern architecture with dramatic details including an iconic entry canopy, perforated metallic panels and staggered balconies. Gourmet kitchens with engineered stone counters, undermount sinks, custom cabinetry, under-cabinet lighting, mosaic marble backsplashes and integrated brand-name appliances. Keep cool in the warmer months with an air-cooling system. Ensuites feature custom cabinetry and premium finishings including a luxurious oversized spa-style shower with frameless doors, a rain shower head plus a shower wand, and integrated bench seating. Generous decks for outdoor living. Some homes enjoy views of the North Shore Mountains, Mount Baker and surrounding green space. A long list of residents-only amenities includes a fitness studio, social lounge, games library, landscaped podium, barbeque patio and more. This is a sample of the floorplans available in this community. For an accurate list of available homes, please contact our sales team. What makes Coquitlam so unique is also what makes it such a great place to live. Urban in spirit, and sustainable at heart, it connects you to the essence of the West Coast. Try on the latest fashion at nearby Coquitlam Shopping Centre, enjoy an evening stroll in one of the surrounding picturesque parks, or simply hop on the SkyTrain network to explore downtown Vancouver. Coquitlam is a city where your days are as rich in shopping, dining and entertainment, as they are in trees, trails and parks. I agree to receive emails about listings that match my criteria. This is part of the tools provided by our system. You can unsubscribe any time. Real Estate Investing, commercial real estate & first time purchasers information seminars and networking. Find out how to locate the best properties to purchase and how to purchase. Network with savy residential investors and entrepreneurs. Learn how to Invest with a group of like minded investors as a single business in properties such as vacation air bnb properties and university student rentals. Current and future entrepreneurs are welcome as well as we go over the key steps to buying and existing business or business space. Learn from award winning trustworthy instructors with years of experience in the industry. Specializing in residential and commercial real estate buyers. 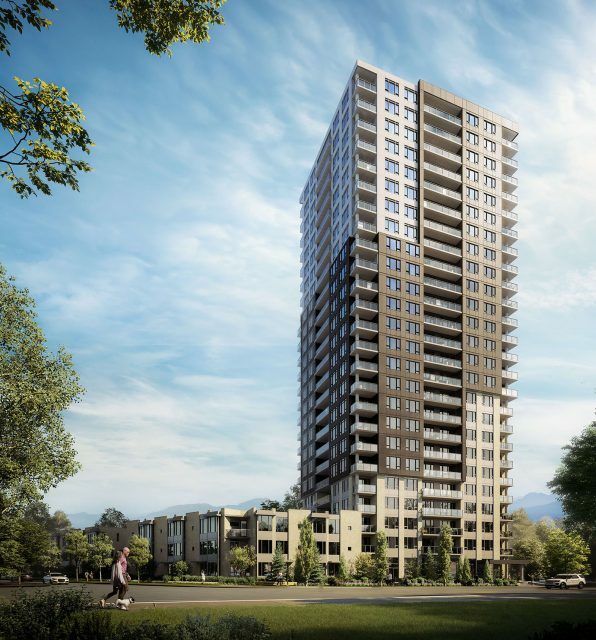 Georgetown One by Anthem is the first new tower planned as part of the Surrey City Centre’s 10 acre masterplanned community. The community itself is made up of seven residential towers, townhouses and 100,000 square feet of restaurant, office and retail space. The 30 storey Georgetown One tower includes 351 studios, one and two bedroom homes that are all efficiently designed. Amenities include co-working space, a glass covered outdoor theatre, fire-pit lounge, fully equipped gym and yoga studio, social lounge with wet bar, pool table and table tennis, entertainment kitchen and dining lounge, as well as a guest suite. In addition, Georgetown One is just steps from King George and Surrey Central SkyTrain station, along with the SFU Surrey campus and an abundance of retail amenities. Two major transit hubs, Surrey Central Station and King George Station, are a short 10-minute walk from home. Hop on the SkyTrain at either station for quick and seamless access to New Westminster, Burnaby, Coquitlam, and downtown Vancouver. Holland Park, Surrey’s adaptation of New York’s Central Park, offers up 25 acres of green, recreation, and entertainment space. Included in which are sports fields, basketball courts, a playground, an amphitheatre, and elegant gardens. Holland Park is also home to major community events, including Fusion Festival, Movies Under the Stars and many other exciting events. Surrey is quickly being recognized as the future of Greater Vancouver, especially when it comes to Real Estate. The increase in employment opportunities and the academic possibilities available at institutions such as Simon Fraser University and Kwantlen Polytechnic University, its no surprise that pre-sale condo demand is at an all time high. With major infrastructure including transit improvements, the writing is on the wall for why Surrey is the next smart move when it comes to buying Real Estate. SkyTrain accessibility has also become the most important criteria for Real Estate purchasers & investors. As Greater Vancouver looks to move towards a greener future and reduce the use of cars, it only makes sense to situate yourself as close to local transit and SkyTrain stations as possible. This is one of the main reasons why SkyTrain accessible Real Estate has become so valuable and why developers are securing land in close proximity to SkyTrain stations. New Westminster council has unanimously passed a bylaw that will use the city’s business licensing powers to penalize landlords who evict tenants in order to renovate. The bylaw uses the city’s business licensing powers, and is being called a groundbreaking policy that could put the brakes on what are known as “renovictions” if other Metro Vancouver municipalities follow suit. The bylaw will define under what conditions landlords can evict; will set out provisions to temporarily house tenants if vacancy is required to renovate; and will prohibit rent increases when tenants return. "REALTORS® are seeing more traffic at open houses compared to recent months, however, buyers are choosing to remain in a holding pattern for the time being." SURREY, BC – Overall inventory levels continued to recover as market activity remained moderate through January. Single Family Detached:At $954,100, the Benchmark price for a single family detachedhome in the Fraser Valley decreased 1.2 per cent compared to December 2018 and decreased 3.3 per cent compared to January 2018. Townhomes:At $522,100, the Benchmark price for a townhomein the Fraser Valley in the Fraser Valley decreased 1.8 per cent compared to December 2018 and increased 0.5 per cent compared to January 2018. Apartments:At $409,000, the Benchmark price for apartments/condosin the Fraser Valley decreased 2.2 per cent compared to December 2018 and increased 1.2 per cent compared to January 2018. Stress Test? What Stress Test? Lori Greiner From SHARK TANK abc is a Christmas Baby, born December 9, 1969. She is known as the Queen of QVC as since 2000, she has appeared on a QVC show called Clever & Unique Creations. She is also the president and founder of the Chicago company, For Your Ease Only, Inc.
Greiner grew up modestly on the Near North Side, Chicago. She majored in communications from the Loyola University Chicago, and worked for the Chicago Tribune while in college. She was briefly a playwright and also humbly designed and sold her own jewelry on the side. In 1996, Greiner created and patented a plastic earring organizer, which was picked up by J. C. Penney before the holiday season. She took out a $300,000 loan to make this product and paid it back in eighteen months. She has also patented consumer products in other categories including cosmetic organization, jewelry storage, travel, electronics, and household items. She is also known venture in capital investing, product design consulting and television production. Greiner started her own company after her J.C.Penney success and her product began appearing on Home Shopping Network and in the retail store, Bed, Bath and Beyond. Shortly thereafter, she transitioned to QVC and in 2000, landed her own show called Clever & Unique Creations, which is one of the longest running show on the network. In 2012, Greiner joined the US TV series Shark Tank. In 2014, her investment in Scrub Daddy, a company that produces a texture changing household sponge, was noted as one of the biggest success story in Shark Tank history. On July 30, 2014, she sold more than 2 million sponges on QVC (in one day alone). Another Shark Tank investment by Greiner made in Bantam Bagels (mini stuffed bagels) in 2014, was fully acquired by T. Marzetti Company, a subsidiary of Lancaster Colony Corporation. Other investments by Greiner include Squatty Potty, Readerest, Paint Brush Cover, Hold Your Haunches, Drop Stop, FiberFix, Simply Fit Board, Sleep Styler and Screenmend. Assessment Appeal Deadline January 31!!! Don't delay on your assessment appeal. You have until January 31! Here is a a link to where to appeal and guide for your knowledge. The increased value of commercial properties has sparked debate in the media about what is the true value of commercial properties in B.C. The truth is market demand for those properties is what really drives prices up or down, says Tina Ireland, BC Assessment Regional Assessor. BC Assessment’s mandate is to provide fair, equitable, independent and trusted property assessments that echo market demands. But how exactly are commercial property assessments calculated? The first step is to determine the highest and best use of the property in order to make an accurate assessment. This is fundamental to a market value assessment system. The highest and best use of a property must be legal permissibility, physical possibility, financial feasibility and maximum profitability. Once the highest and best use is determined we measure how the market reflects this use. “Our assessments to sales ratio received a 96 percent accuracy rate,” Ireland adds. “Some people think we simply predict, and that assessments are less factual than they are, but on the contrary, it is a very thoughtful process using the best market data we can find. "In fact, our assessments meet IAAO (International Association of Assessing Officers) standards. The IAAO sets the standards that BC Assessment follows to ensure delivery of accurate assessments with current property values. The IAAO does that by using the median Assessment to Sales Ratio (ASR). The ASR measures how closely assessments represent a property’s actual selling price, tracking assessment accuracy in a market-based property assessment system. There are several drivers that influence market values, most notably the demand for specific properties, physical characteristics, and changes in zoning and density. If a property is rezoned, it is typically undertaken to permit more land uses and/or increased density to be developed on the property. Ireland credits its highly professional staff who ensure the accuracy of its assessments. “Less than two percent of our property assessments are appealed, which means 98 per cent of people accept their assessments,” adds Ireland. The website is full of great information that helps people understand the process. Close to $3 billion worth of purpose-built rental properties changed hands in Greater Vancouver last year, according to the numbers crunched by the Goodman team at HQ Commercial. The sum represents a 37% increase from last year, even though the number of properties changing hands totalled 155, just five more than in 2017. The average price per suite increased 23%, to $530,401. Deals in the West End, for example, broke the billion-dollar mark as 21 buildings comprising a total of 1,373 suites sold. The strong activity put paid to mid-year analyses that saw a slowing market for multi-family properties. Avison Young, which tracks sales $5 million and greater, felt that political uncertainty in the run-up to last October’s civic elections would combine with government efforts to cool real estate markets and rising interest rates to cool deal activity and pricing. While this wasn’t the case in Greater Vancouver, political uncertainty remains. Goodman reports that some investors are shying from investing in purpose-built rental properties as a result. However, with no new land being created and the development environment still fraught with hurdles and delays, short supplies and strong tenant demand seem poised to buoy opportunities for investors. The press release went on to note proudly that “roughly 50% of all rental housing under construction in Metro Vancouver is within the city of Vancouver” (though many feel Vancouver shouldn’t be shouldering the region’s housing crisis solo). Year-end Canada Mortgage and Housing Corp. (CMHC) figures bear out some of those claims. Construction of rental housing in the city reached its highest level in 30 years in 2018, with 3,433 units of market and non-market rental housing started. This represented 53% of the regional total of 6,425 starts. Five years ago, that proportion was 38%. Total Vancouver rental housing starts between 2014 and 2018 represented 45% of the region’s starts. All residential property owners in the designated taxable regionsmust complete an annual declaration for the speculation and vacancy tax. Where there are multiple owners of a home, a declaration must be completed by each owner, including spouses. You must complete a declaration to claim an exemption. Over 99% of all British Columbians will be exempt from the tax. The deadline to complete your declaration is March 31. If you don’t complete your declaration, you’ll receive a tax notice charging you the tax at the maximum tax rate. You can still complete your declaration to claim an exemption even after you've received a tax notice. If you don’t own residential property in a designated taxable region, you don’t need to complete a declaration. 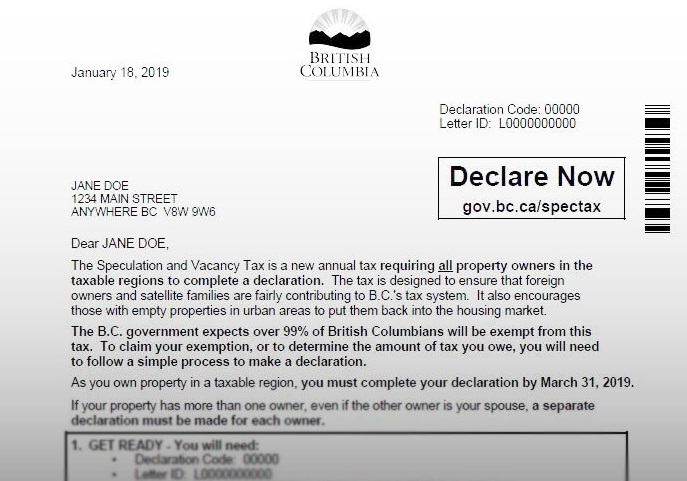 If you own residential property in a designated taxable regionon December 31, the Province will send you a speculation and vacancy tax declaration letter in the mail by mid-February. Contact us if you’re expecting a declaration letter from us and haven’t received one by late February. Your declaration letter will list all the residential properties you own in the designated taxable regions and will tell you how to declare and claim any relevant exemptions. The letter will be sent to you at your mailing address on file with BC Assessment. If you need to update your mailing address, please contact BC Assessmentto do so. Your letter will include two unique identification numbers: a declaration code and a letter ID. These numbers match you to your property. You'll need these numbers to complete your declaration. You'll also need your social insurance number to verify your identity. As soon as you receive your declaration letter, you can complete your declaration through the online declaration application. You will be guided through the exemption options for each property. If you prefer, you can declare over the phone with the help of an agent by calling us after you receive your declaration letter. Language translation services are available over the phone. Complete your declaration right away to claim any relevant exemptions and avoid receiving a tax notice. However, if someone else is completing your declaration over the phone, you must also be present on the call. This is because protecting your personal information is important to us. Note: The speculation and vacancy tax is distinct from the empty homes tax in the City of Vancouver. *Areas covered by the Real Estate Board of Greater Vancouver include: Whistler, Sunshine Coast, Squamish, West Vancouver, North Vancouver, Vancouver, Burnaby, New Westminster, Richmond, Port Moody, Port Coquitlam, Coquitlam, Pitt Meadows, Maple Ridge, and South Delta. SURREY, BC – After three consecutive years of total annual sales surpassing 20,000 units, 2018 saw the Fraser Valley real estate market return to more typical levels for both sales and inventory. The Board’s Multiple Listing Service® (MLS®) processed 15,586 sales in 2018, a 30.2 per cent decrease compared to 2017’s 22,338 sales and the lowest total sales for the Fraser Valley since 2013. The total dollar volume of MLS® transactions for the year was $11.8 billion, dropping from $15.7 billion sold during the year prior. Of the total transactions that took place in 2018, 3,866 were townhouses and 4,296 were apartments. Each of those property types saw a significant decrease in sales compared to 2017, with total townhouse sales dropping 25.6 per cent year-over-year and apartments dropping 30.5 per cent. For inventory, a total of 32,058 new listings were received by the Board’s MLS® system in 2018. This was the fourth highest total for new inventory in the Board’s history. • Single Family Detached: At $965,300, the Benchmark price for a single family detached home in the Fraser Valley decreased 1.1 per cent compared to November 2018 and decreased 1.5 per cent compared to December 2017. • Townhomes: At $531,900, the Benchmark price for a townhome in the Fraser Valley in the Fraser Valley decreased 0.2 per cent compared to November 2018 and increased 3.7 per cent compared to December 2017. 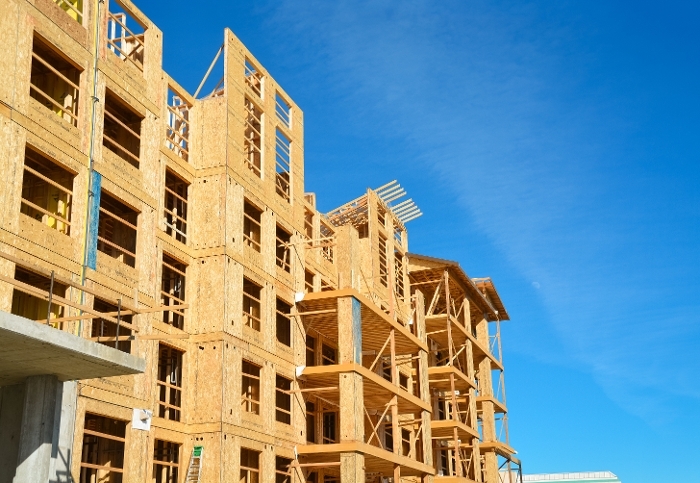 • Apartments: At $418,300, the Benchmark price for apartments/condos in the Fraser Valley decreased 1 per cent compared to November 2018 and increased 7.6 per cent compared to December 2017. “Home prices have declined between four and seven per cent over the last six months depending on property type. We’ll watch conditions in the first quarter of 2019 to see if home buyer demand picks up ahead of the traditionally more active spring market,” Moore said. The Fraser Valley Real Estate Board processed 1,028 sales of all property types on its Multiple Listing Service® (MLS®) in November, a decrease of 41 per cent compared to the 1,743 sales in November of last year, and a 11 per cent decrease compared to sales in October 2018. • Single Family Detached: At $976,200, the Benchmark price for a single family detached home in the Fraser Valley decreased 1.1 per cent compared to October 2018 and did not change compared to November 2017. • Townhomes: At $532,800, the Benchmark price for a townhome in the Fraser Valley in the Fraser Valley decreased 1 per cent compared to October 2018 and increased 5.4 per cent compared to November 2017. • Apartments: At $422,500, the Benchmark price for apartments/condos in the Fraser Valley decreased 2.4 per cent compared to October 2018 and increased 12.2 per cent compared to November 2017. There were 4,873 detached, attached and apartment homes newly listed for sale on the Multiple Listing Service® (MLS®) in Metro Vancouver in October 2018. This represents a 7.4 per cent increase compared to the 4,539 homes listed in October 2017 and a 7.7 per cent decrease compared to September 2018 when 5,279 homes were listed. The total number of homes currently listed for sale on the MLS® system in Metro Vancouver is 12,984, a 42.1 per cent increase compared to October 2017 (9,137) and a 0.8 per cent decrease compared to September 2018 (13,084). For all property types, the sales-to-active listings ratio for October 2018 is 15.1 per cent. By property type, the ratio is 10.3 per cent for detached homes, 17.3 per cent for townhomes, and 20.6 per cent for condominiums. The MLS® Home Price Index composite benchmark price for all residential homes in Metro Vancouver is currently $1,062,100. This represents a one per cent increase over October 2017 and a 3.3 per cent decrease over the last three months. Sales of detached homes in October 2018 reached 637, a 32.2 per cent decrease from the 940 detached sales recorded in October 2017. The benchmark price for detached properties is $1,524,000. This represents a 5.1 per cent decrease from October 2017 and a 3.9 per cent decrease over the last three months. Sales of apartments reached 985 in October 2018, a 35.7 per cent decrease compared to the 1,532 sales in October 2017. The benchmark price of an apartment property is $683,500. This represents a 5.8 per cent increase from October 2017 and a 3.1 per cent decrease over the last three months. Attached homes sales in October 2018 totalled 344, a 37.5 per cent decrease compared to the 550 sales in October 2017. The benchmark price of an attached home is $829,200. This represents a 4.4 per cent increase from October 2017 and a 2.8 per cent decrease over the last three months. SURREY, BC – The Fraser Valley housing market saw slight increases in both total transactions and overall inventory this month after sales hit their lowest point for the year in September. The Fraser Valley Real Estate Board processed 1,155 sales of all property types on its Multiple Listing Service® (MLS®) in October, a decrease of 35.8 per cent compared to the 1,779 sales in October of last year, and a 11.6 per cent increase compared to sales in September 2018. Of the 1,155 sales, 438 were residential detached homes, 306 were townhouses, and 292 were apartments. Active inventory for the Fraser Valley in October finished at 7,746 listings, increasing 1.3 per cent month-over-month and 41.3 per cent year-over-year. A total of 2,776 new listings were received by the Board in October, a 5.8 per cent decrease from that received in September 2018, and a 12 per cent increase compared to October 2017. For the Fraser Valley region, the average number of days to sell both an apartment and townhouse in October was 31. Single family detached homes remained on the market for an average of 39 days before selling. • Single Family Detached: At $986,700, the Benchmark price for a single family detached home in the Fraser Valley decreased 0.2 per cent compared to September 2018 and increased 1.1 per cent compared to October 2017. • Townhomes: At $538,400, the Benchmark price for a townhome in the Fraser Valley in the Fraser Valley decreased 1.4 per cent compared to September 2018 and increased 7.1 per cent compared to October 2017. 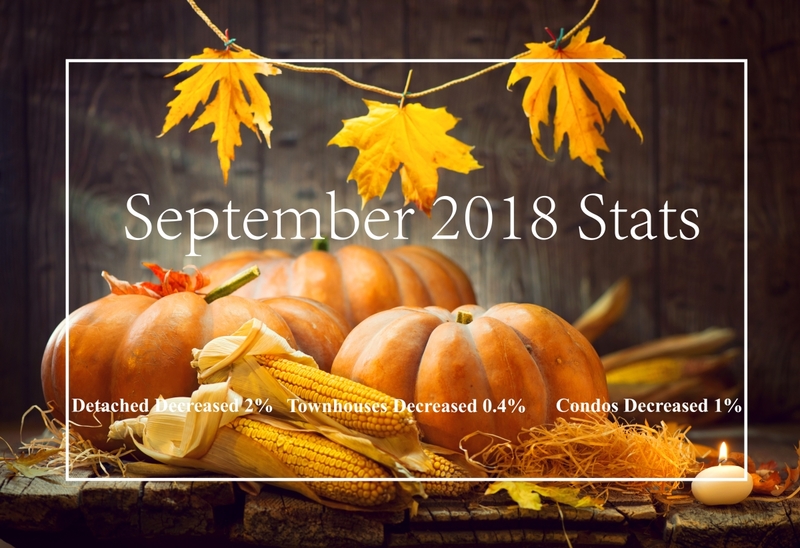 • Apartments: At $432,800, the Benchmark price for apartments/condos in the Fraser Valley decreased 1.3 per cent compared to September 2018 and increased 17.2 per cent compared to October 2017. Just as expected, the Bank of Canada announced another interest rate hike last week. The interest rate increase pushed the overnight rate to 1.75%, the fifth increase in just over a year. The overnight rate has more than tripled since bottoming at 0.5% in early 2017. This intetest rate increase is exposing growing concerns over average Canadian households and their ability to swim in the debts amongst rising interest costs. It is said the banks desire to reach their neutral rate of between 2.5-3.5%. Recent economic data from the household sector, which has historically been responsible for just over 60% of GDP growth, suggests average households are drowning out in debt. 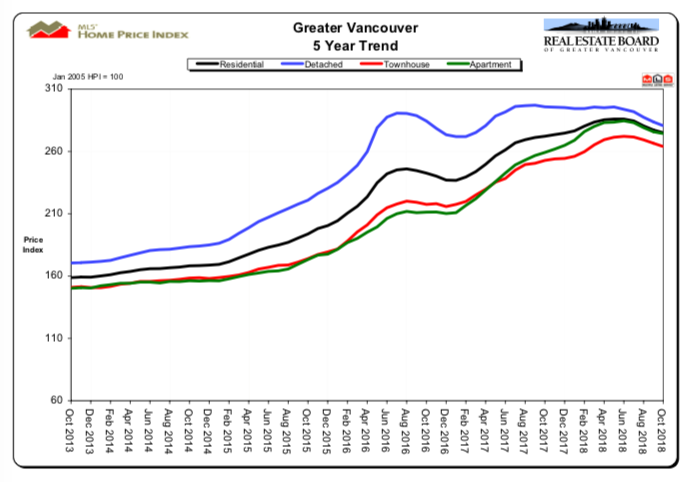 National home sales have now sunk to a 6 year low, with particular weakness in both Calgray and Greater Vancouver, where home sales sit at 18 and 22 year lows respectively. The resulting slowdown has prompted savy home builders to start tredding water instead of sprinting like they did 2 years ago as CMHC reports. Auto sales have declined for seven consecutive months and retail sales volumes have fallen in each of the past three months, now growing just 0.7% Y/Y compared to the greater than 8% growth just over a year ago. Total household credit was up just 3.6 percent in September from the previous year, the slowest annual growth since 1983, according to data released Friday by the Bank of Canada. That’s a marked slowdown from 5.8 percent in the middle of last year, and less than half the 8.1 percent historical average. The amount of household credit outstanding, including consumer credit and residential mortgages, is now C$2.15 trillion ($1.64 trillion). 1. Household credit growth in Canada hits its slowest pace in 35 years. 2. Non-permanent resident growth as a share of total population growth hasn't been this strong since Canada's last housing boom in the late 1980's. What will happen to this cohort if job growth slows? SURREY, BC – The slowing of sales activity and expansion of overall inventory that has defined much of 2018 for the Fraser Valley housing market continued in September, with sales at their lowest point and inventory at its highest for the year. The Fraser Valley Real Estate Board processed 1,035 sales of all property types on its Multiple Listing Service® (MLS®) in September, a decrease of 36.1 per cent compared to the 1,619 sales in September of last year, and a 10.4 per cent decrease compared to sales in August 2018. Of those 1,035 sales, 376 were residential detached homes, 250 were townhouses, and 274 were apartments. This was the lowest number of transactions in a month this year for each category. Active inventory for the Fraser Valley in September finished at 7,647 listings, increasing 4.2 per cent month-over-month and 30.6 per cent year-over-year. This is the highest level of supply for the Fraser Valley since July 2015. A total of 2,946 new listings were received by the Board in September, a 14.4 per cent increase from that received in August 2018, and a 3.4 per cent increase compared to September 2017’s intake. For the Fraser Valley region, the average number of days to sell an apartment in September was 33, and 32 for townhomes. Single-family detached homes remained on the market for an average of 39 days before selling. • Single Family Detached: At $988,900, the Benchmark price for a single-family detached home in the Fraser Valley decreased 2 per cent compared to August 2018 and increased 1.1 per cent compared to September 2017. • Townhomes: At $546,100, the Benchmark price for a townhome in the Fraser Valley in the Fraser Valley decreased 0.4 per cent compared to August 2018 and increased 9.5 per cent compared to September 2017. • Apartments: At $438,700, the Benchmark price for apartments/condos in the Fraser Valley decreased 1 per cent compared to August 2018 and increased 22.5 per cent compared to September 2017.